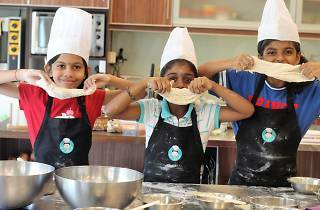 Smart Junior Chef’s location in Puchong might be the biggest drawback for those who live in the city centre, but its enjoyable classes and friendly chefs make it well worth the distance. Boasting a sleek open kitchen, this spacious space believes in letting students explore their creativity which means classes aren’t too structured – just the way we like it. 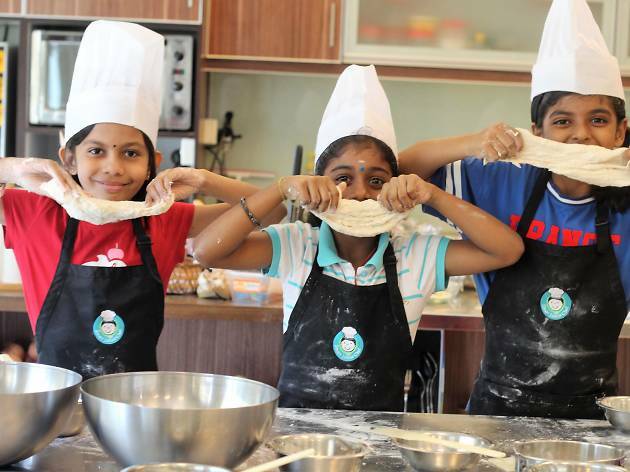 The school off ers two main categories – the Senior Chef class focuses on baking for kids aged four to 17, while Master Chef classes (for ages nine to17) train kids in cooking from scratch. There’s also a new programme called ‘Study Abroad’ focusing on simple cooking for students on their way to study overseas. Lessons here are easy to follow and are well organised with recipes and their background information handed out before the class starts. If your child is a bit shy, you can accompany them for no extra charge – a great way to pick up a few tips yourself!